My most used palette of all the Autumn palettes is definitely Dior's Cuir Cannage. It's a very warm neutral palette that is perfect to use on a daily basis, mainly because the shades are pretty safe but still versatile enough so you can amp it up to a full on smokey look in the evening. I've been wearing this palette a lot using just two of the shades and blending them together for a soft gradual look with slightly emphasised crease. This eye look takes more or less one minute per eye - so this is the perfect daily look for whenever you're running late but still want to add some fancy colour to your eyes. Swatched: Cuir Cannage. Find more Dior Autumn swatches here. 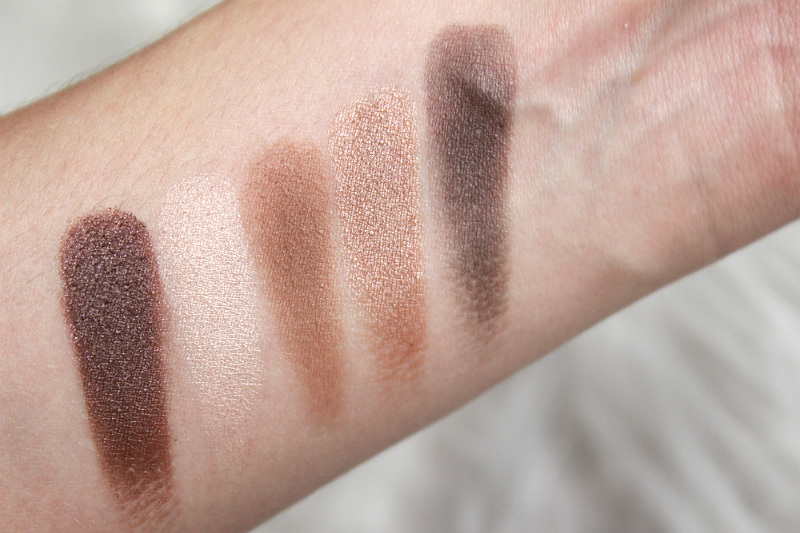 First I primed my eyes with a MAC paint pot in Soft Ochre, and then I used the first and fourth shade from the swatches together, which results in this gorgeous warm look. I started out with the lightest shade across my whole eyelid, and then added the darkest shade into the crease and blended it well for a smooth transition. 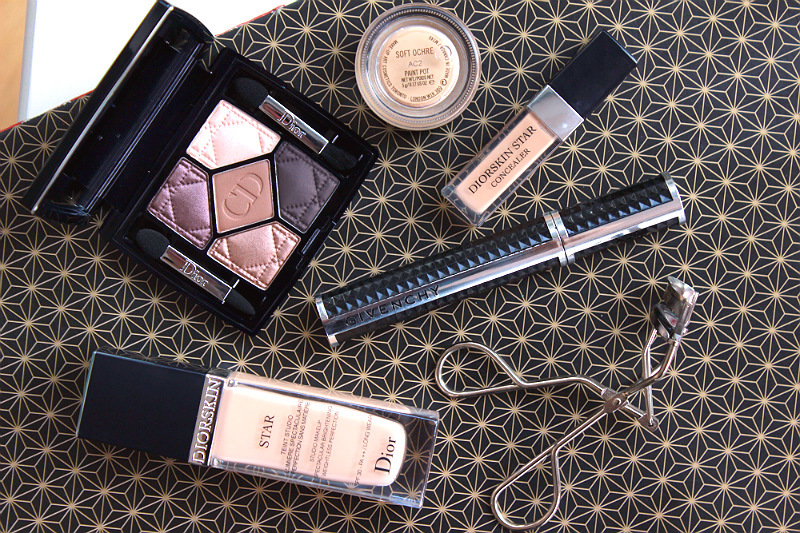 This look wears pretty much all day, although it does lose some vibrance towards the evening. If you want to touch it up in the evening when you're out for dinner and drinks after work, you can easily add more of the darkest shade in the crease and outer corner of your eye and build it up to the intensity of the swatches. Another look I like to create with this palette is even easier: I use a MAC paint pot in Constructivist all over my eyelid, and then just add the fourth shade from the swatches on top of it. Remember that combination for when you're really out of luck and can only spend 20 seconds on each eye..
For mascara I used Givenchy's Noir Couture Volume in the shade Black Taffeta. I've been really liking this mascara since this Summer and I'll be sad when I finally have to toss it - I try and keep my mascaras for a maximum of 6 months. It has a funny brush shape (see the picture I put on my Instagram here) which adds a little more volume to the outer half of your lashes for an fuller effect. It doesn't smudge and holds the curl I create with my Shu Uemura Lash Curler all day through.